Holly Macve is currently one of the rising stars of the folk-country music scene. A heavenly voice, a devastating emotional delivery, and her magnetic stage presence make her one of the most interesting newcomers today. Despite her young age – Holly Macve is only 21 years old -, her debut record “Golden Eagle” reveals she’s experienced enough strive to last a lifetime: parental splits, heartbreak, early career pitfalls… Born in Western Ireland, Macve and her sister were whisked away “in the night” by her mom from her errant father, to live with her grandparents in Yorkshire. In her new home, she’s soon discovered her family’s big record collection: lots of blues and Bob Dylan shaped her impressionable mind, before she herself discovered the likes of Leonhard Cohen, Johnny Cash and Gillian Welch. “Words are my main love,” she declares. “I love songs that tell stories and take you somewhere else. I’ve always been drawn to that old country sound with it’s simple and memorable melodies. I enjoy music that feels timeless, that you don’t know quite when it was recorded.” At the age of 18 Holly moved down south. She worked in a café, while singing on open mic nights. Bella Union boss Simon Raymonde was a regular customer at the café when he caught wind of this astonishing young talent, with her vocals notes of Welch, Patsy Cline and Paula Frazer (Tarnation), and the timeless melodies, altogether evoking the Appalachian Mountains and the Wyoming prairie rather than the Brighton seafront. Holly subsequently fled back to Yorkshire after a lost love and sense of direction, and wrote the songs that became Golden Eagle. “I was depressed, lost and lonely, in a dark place,” she recalls. “So the songs are a bit fatalistic.” These fatalistic songs, however, brought her a lot of recognition from many different sides as well as some beautiful support slots such as Villagers, John Grant, and Benjamin Clementine. 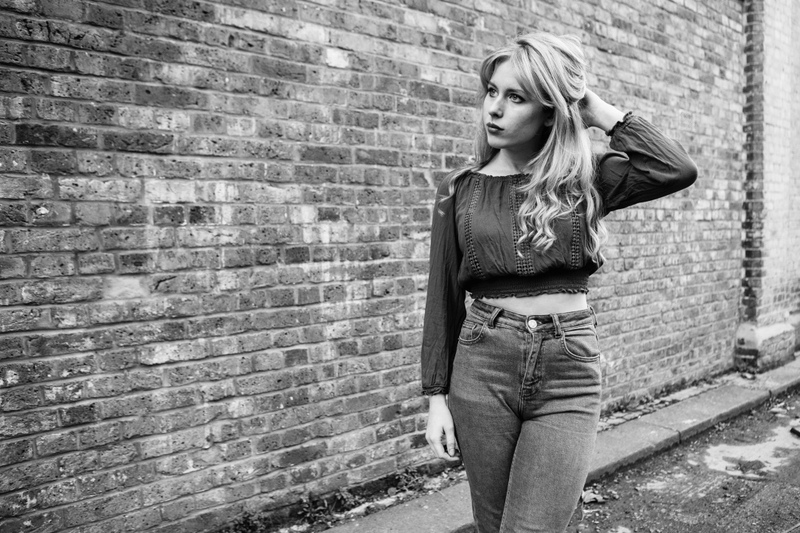 She was also chosen as one of the few newcomers to play the prestigious Reeperbahn Festival 2016 “Anchor Award for International Emerging Talent.” It’s looking pretty good for Holly Macve!